Earn up to 124 Points. 5W-40 Green Diamond Fleet Oil is a 100% pure synthetic using only Group III base oils. 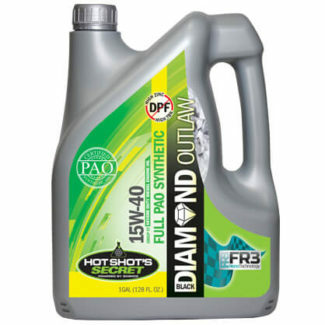 15W-40 Green Diamond Fleet Oil is a synthetic blend of Group II and Group III base oils. 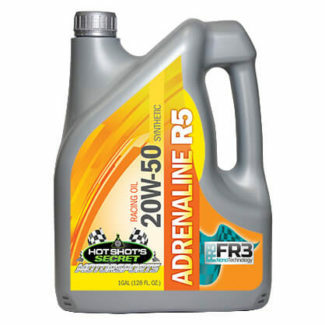 The infusion of our patented FR3 Nano-Technology and CK-4 additive package provides unsurpassed levels of longevity and performance, all while keeping the oil cleaner longer and providing better mileage and horsepower. Green Diamond Fleet Oil was formulated to meet severe operating conditions such as hauling heavy loads, stop and go and operation in areas of high airborne particulates. 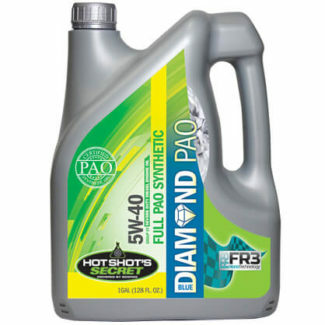 All Green Diamond Fleet Oil is fully formulated CK-4 motor oil with high detergency plus exceptional oxidation and thermal stability, preventing deposits and oil breakdown and making longer drain intervals possible. In addition to exceeding the API CK-4 specification, the HSS 5W-40 Green Diamond Fleet meets the requirements from Ford for added wear protection as stated in Ford Specification WSS-M2C171-F1 (Not all CK-4 specification oils meet both the CK-4 and the Ford specification). Green Diamond Fleet Oil is recommended for most diesel engines. The CK-4 specification is backwards compatibles with the CJ-4 and the CI4 Plus. Green Diamond Fleet can be run over 60,000 miles, as long as the oil is kept clean and monitored every 6,000 miles for TBN number. Can you use the stiction eliminator with this oil? What is the actual poor point of this oil for winter !!! Do you need to use the FR3 additive with this oil? No need to add FR3 Friction Reducer to any of our oil, thanks!